968 Holster for S011 Safely and conveniently houses the S011 Hidden Edge Utility Knife Holster. 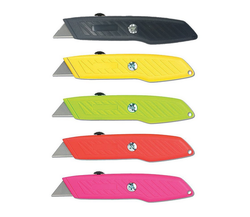 We offer Retractable Utility Knife. This utility knife is a multi-purpose addition to your kitchen and is made from stainless steel for lasting, hassle-free use. With a serrated edge and a tapering blade, this knife offers great ease to cut and par fruits, vegetables and meat. 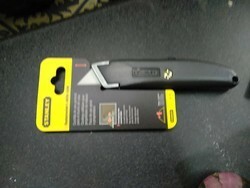 We offer RANGE OF STANLEY KNIVES. We have marked a distinct and dynamic position in the market by providing a high-quality array of Utility Cutter Knife. Keeping in mind ever-evolving requirements of our respected clients, we are manufacturing a premium quality range of Swiss Knife. Our organization is well known in the market for providing a broad assortment of Snap Off Utility Knife to our clients. These products are assembled using optimum quality components.